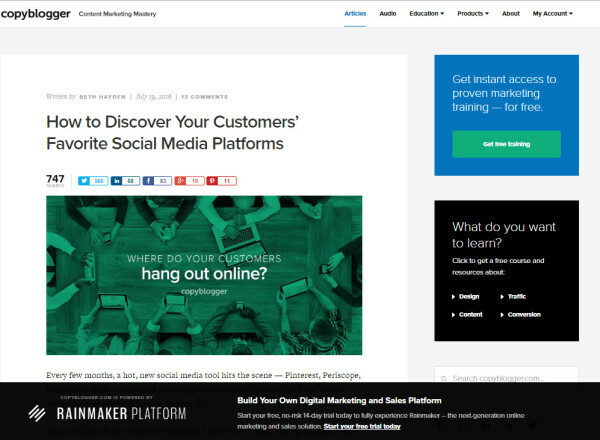 This post was co-written by CMI’s Chief Content Adviser Robert Rose. In both our speeches and workshops to audiences not familiar with content marketing, we generally spend the first part of the presentation on what content marketing looks like, and how it can provide multiple ways to create value. In particular, while I talk about “sales, savings, and sunshine” as the three core reasons why enterprises engage in a content marketing approach, Robert talks about a model called “subscribe, win, and grow.” We can address examples of each. A sales goal within a content marketing approach is all about driving demand for products and services by first creating subscribers who know, like, and trust your brand, who then convert into customers. As Robert describes it in his workshop, this is simply spending some of your marketing effort in building a group of people who are engaged with your approach but aren’t ready to purchase. When they are — your brand will be top of mind. A great example of this is Brian Clark’s Copyblogger. In 2006, Brian started the content brand and created consistent content around SEO and online copywriting. Before long, Brian amassed over 100,000 opt-in subscribers. Today, the majority of revenue coming into the company (now known as Rainmaker Digital), a software-as-a-service (SaaS) enterprise, comes from its database of subscribers. A cost-savings goal leverages a content marketing approach to see results similar to another program running in the organization (ultimately, it enhances or replaces the traditional initiative with the content initiative). From a “subscribe” perspective this is utilizing the power of an opt-in audience to deliver better or more effective performance from other business activities. Jyske Bank has created one of the most high-tech in-house television production studios in Denmark. In fact, the company refers to itself as both a bank and a media company. Jyskebank.tv produces amazing financial programming, as well as compelling stories that the bank believes are relevant to its core audience of younger consumers and small enterprises. Instead of paying for multiple traditional sponsorships like most banks and corporate brands do, Jyske works with businesses interested in leveraging its media expertise. Instead of outlaying cash to outside opportunities, Jyske receives proposals for media partnerships from other organizations — an attractive option made possible by the credibility and reach the bank’s content program has helped it to build. Both the World Mobile Congress and the Cannes Lions Festival have approached Jyske about forming this unique relationship, offering Jyske access to logo placements and exclusive interviews once reserved for media companies — strong evidence that with reach and a loyal audience comes great opportunity. Whereas, in the past, Jyske Bank had to pay for opportunities like these, it can save that money because so many traditional organizations want access to Jyske’s audience. 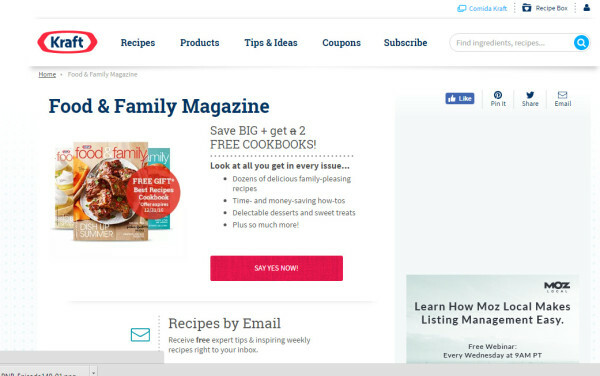 Another example of this is Kraft’s Food & Family magazine and online recipes database program. By leveraging the rich data gleaned from its millions of subscribers to both the print and online platforms, Kraft created content four times more effective than most targeted traditional media buys. Sunshine, or what sunshine helps with most — growth — is all about creating better customers for our business. In essence, this goal focuses on creating more loyalty and retention with customers or, at minimum, more positive customer behaviors like cross-selling or up-selling. 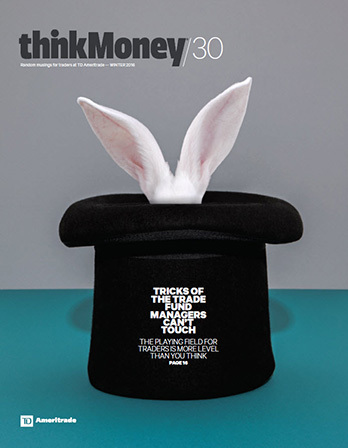 Print and digital magazine thinkMoney is produced by TD Ameritrade for active customers who trade sometimes hundreds of times a day. In the early days, the program was under ongoing review to determine whether it was worth spending money on the magazine. But the leaders persevered and, after approximately two years, received the information they needed: Subscribers and readers of the magazine traded five times more than non-subscribers. Simply put, those who subscribe to this magazine become better customers for TD Ameritrade. I recently had an opportunity to hear Robert Sperl, editorial director of Red Bull’s magazine, explain its origin. In 2005, Red Bull was a major sponsor of Formula One racing. The company wanted to deliver a printed guide with the race results immediately after the event. Prior to each race, they gathered inside stories about the drivers and fun facts about the history of each race and assembled and printed the bulk of each magazine ahead of time. They brought a Heidelberg press to the track. As soon as the race was over, they quickly printed the results and distributed the magazines to attendees as they were leaving the race — an astounding feat. In 2007, Red Bull decided to evolve this publication into a men’s lifestyle magazine. It launched Red Bulletin in five countries, with 70% international and 30% localized content. 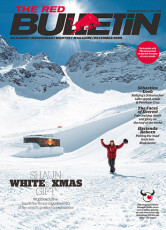 Today, Red Bulletin magazine is published in five languages and is distributed in 10 countries. It prints and distributes 2.3 million copies each month, including 550,000 mailed to paid subscribers. However, the most interesting aspect of the editorial director’s presentation on Red Bull Media House was how success is measured — and it’s not on how it helps drive more can sales. It is measured just like a media company — Red Bull Media House enters into initiatives that are profitable on their own merit. All these years we’ve been holding up Red Bull Media House as one of the leading examples of content marketing. But truthfully, it’s a media organization inside Red Bull. As we see content marketing maturing, and now that we’ve begun to look at this model more closely, it’s easy for us to see smaller examples in multiple industries. In marketing, both Salesforce (with Dreamforce) and Marketo (Marketo Summit) create immensely valuable events that are profitable in their own right. Cuisine Solutions, in conjunction with the Ad Agency HZDG just launched Sous-Vide, a $9.99-per-issue cooking magazine selling on the Cuisine Solutions website as well as at stores including Trader Joe’s, Whole Foods, and Costco. Johnson & Johnson operates BabyCenter.com as a completely separate division. LEGO’s The LEGO Movie was created as a for-profit initiative. Sure, they wanted to sell more bricks, but the movie itself was to be measured just like any other movie — on ticket/DVD sales and merchandise. All these examples are great, but they are nothing new. Enterprises have launched money-making initiatives ad-hoc for decades (if not longer). Why is now any different? I gave a presentation three weeks ago to a global manufacturing company. This was the first presentation where I cited not three, but four models for content marketing. In just the past month, we’ve covered in our podcast, This Old Marketing, the announcements by both Pepsi marketing and Mondelez marketing about their new content marketing models. In both cases, the marketing leaders at these organizations talked about a portion of their marketing being self-sustaining or even profitable. Soon after that, as Robert presents in his master class, Fortune 150 company Arrow Electronics announced the purchase of a number of B2B media brands from events company UBM (parent company of Content Marketing Institute). Not only has Arrow purchased amazingly valuable subscriber lists (made up of prospects and customers for its product) and editorial talent, but it has also purchased standalone marketing that is profitable by itself. Let’s take another look at Red Bull Media House and its suite of brands. Red Bull Media House is the umbrella over a number of sub-brands, including Red Bull Content Pool, Speedweek, and Red Bull Records. While Red Bull still markets its products like other organizations, including advertising and traditional public relations, Red Bull Media House drives value, for the most part, outside the products that Red Bull sells. To do that, it has created a model similar to most media companies, logging dozens of content brands in the process. This group makes money. The side benefit is that it aligns with the goals of Red Bull marketing … selling more cans. And getting this close to so many readers gives Red Bull customer insight unlike most other brands. This type of insight feeds upon itself into new products and new content brands (helping both the marketing and the media arms of Red Bull). This is the future of IBM, of General Motors, of Cisco Systems. Yes, in many ways we will still market the way we’ve marketed for decades. This includes large amounts of advertising and interruptive marketing. Yes, we will also market specifically around the buyer’s journey, driving leads and certain behaviors with specific pieces of content. This is how most enterprises currently employ content marketing. And yes, these large B2B and B2C enterprises will own a number of content brands as part of their content studios. Marriott has just started this, with its Marriott Traveler brand and Two Bellmen movie series. We can see Marriott in the near future owning and running 50 to 100 content brands targeting different audiences. Most of these will be self-sustaining or even profit-producing. Initially, the money to create or purchase these brands will come from marketing or R&D. After that, the profit coming from the media brand will help buy or invest in more content brands. In 20 years, the largest media companies on the planet may be the IBMs and GMs of the world, and, outside of hybrid companies like Disney, there won’t be many standalone media companies on the list of large media conglomerates. Now we’ve been wrong before (many times), but this feels like the new direction we are seeing in content marketing. What say you? 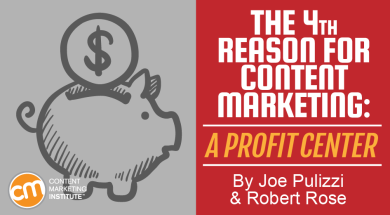 Want to hear more from Joe and Robert, and about the fourth content marketing model? Register today for Content Marketing World Sept. 6-9. Use code BLOG100 to save $100.